Nicki Vineall and Alison McKenzie have created the ultimate salon setting for their clients to enjoy. 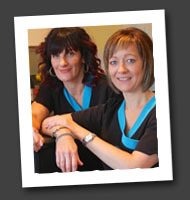 Hair Boutique is a dream come true for the stylists who originally met when working together at Calvin’s hair studio. Nicki and Alison have between them 50 years experience in unisex hairdressing, they are able to provide a service for all ages. Both stylists believe in the power of education and attend regular training events to keep up to date in this fast moving industry. 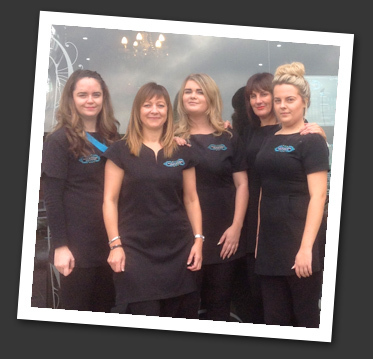 Nicki and Alison understand it’s important to provide a welcoming salon atmosphere; they treat every client that walks though the door as a guest coming to visit. This harmony flows throughout the salon, putting clients completely at ease in there surroundings. Hair Boutique has a Parisian feel to it, chandeliers are placed centrally down the salon and gilt framed mirrors with cream shabby chic tables outline the walls. The focal point is the boutique reception desk which is centrally located in front of the damask feature wall; a chesterfield sofa is added for client comfort. Nicki and Alison realise the hassle for busy professionals to allocate time out to have their hair done during salon hours. The stylists appreciate this so are able to offer two late night openings on a Thursday and Friday till 8pm so busy clients can fit their hair appointments around their work schedules.